Spirals & Spatulas: Are you a good 1930's wife? 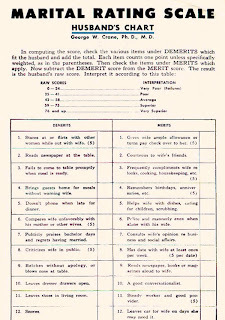 I recently came across this website and a post about "Marital Rating Scales" from the 1930s. I spent a year in college doing research on marital satisfaction in the Psyc department, so I find stuff like this amazingly interesting. 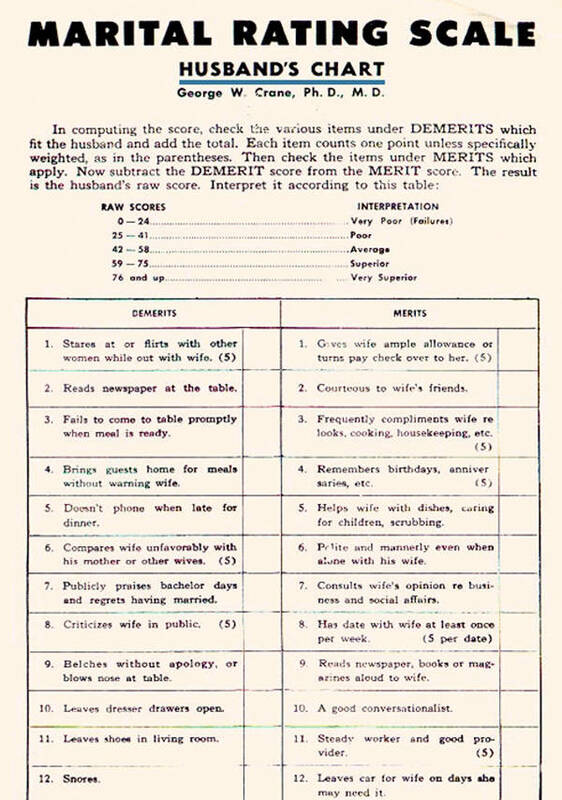 Basically, you can go through and check boxes about your spouse and give them a score, which corresponds to a rating from "Very Poor" to "Very Superior." The best part of this survey is that it's not just from a magazine or something... it was actually made by a psychologist with a PhD and a MD. He went around and did a scholarly study asking people what they liked and didn't like about their spouse, and then he combined it into this survey. So while it's kind of hilarious because it's horribly outdated (e.g. wives get negative points if the seams in their hose are "often crooked"), it's actually a really good representation of how you would have been perceived in the 1930s! Each survey is four pages - you can see the whole thing here. It's really fun to look at... so many of the things that spouses do/don't like about each other haven't changed at all! 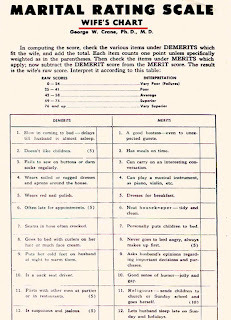 And just in case you were wondering, Jeff scored one point shy of the "Very Superior" category - and that was only because we don't have kids and I couldn't give him points for all the children-related ones! Haha. This was so funny!! I'm pretty sure Charlie and I would both fail at being good 1930s spouses!! I'm a new follower- very cute blog! 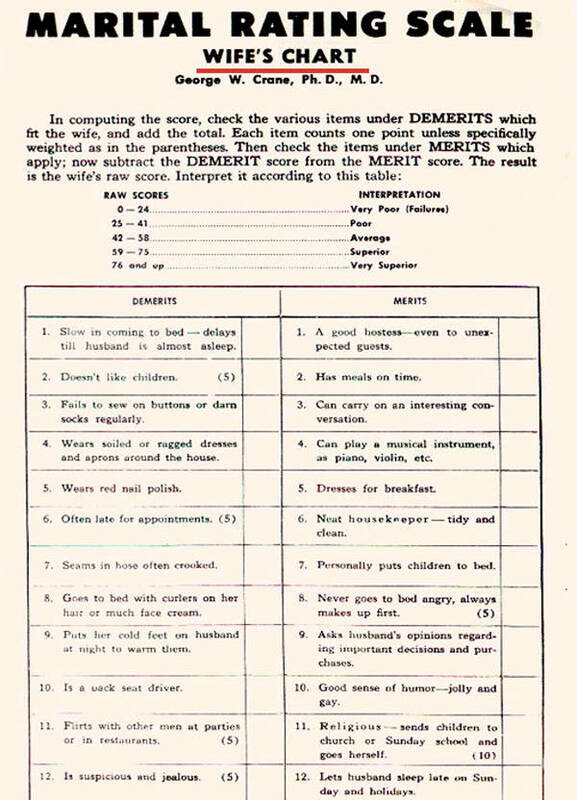 I'm scared to see my score I would be an awful 1930s housewife! love it! it seems like most of the things on the husband list are still true today, but the wife list sure has changed a lot!